The DBSD8 is a premium closed shoulder drive tire that is SmartWay™ verified and approved for use on EPA SmartWay certified equipment as well as all equipment where a SmartWay™ tire is recommended. 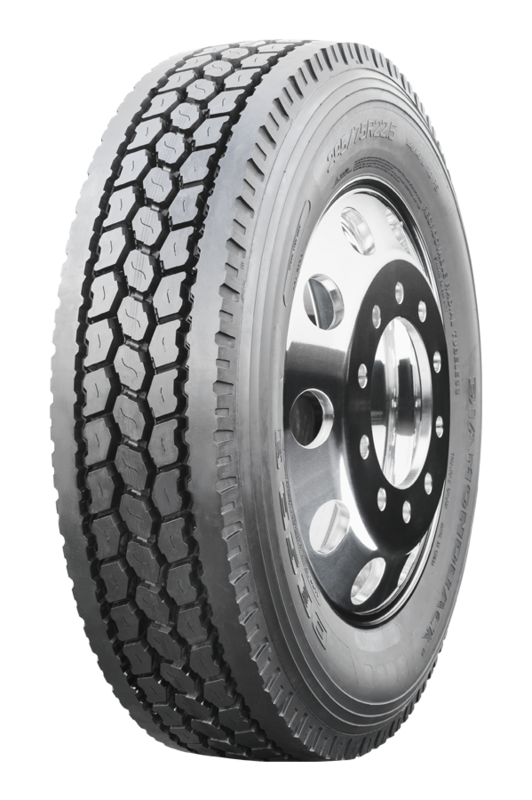 The DBSD8 features 28/32" tread depth for long tread life and exceptional cost per mile. Solid shoulder ribs deliver superior stability and resistance to uneven wear. The DBSD8 is designed with three rows of aggressive tread blocks for superior traction and resistance to tread squirm. 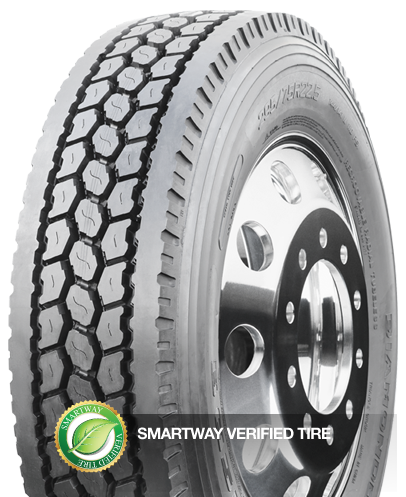 SmartWay™ verified tires can improve fuel efficiency by 3 per cent or more.